On April 7 2008, just about every British teen spent that Monday evening as they always do: watching Skins. Because this was the past, TV was a major event – every single Monday at around 9.55pm for 10 weeks, following roughly the same ritual. We would sign out of MSN (politely BRB), grab snacks, and assume our position in front of an actual TV that didn’t connect to WiFi. We might text during breaks, but for the most part, nothing would compromise our commitment to catching up with the ludicrous, melodramatic, aspirational lives of fictional teenagers living in Bristol. Which is all to say that the impact of Skins cannot be overstated: at 14/15-years-old, every ill-advised field “rave”, every glowstick bought, every song we played as drunk underagers was loosely inspired by the show. It was not perfect, wasn’t without melodrama or dialogue that occasionally made me, an actual teenager, wince, but it was ours. It was also influential, gaining an audience in its demographic while garnering respect from adults and critics. It was the first of its kind in a lot of ways; the first show to shed its cast every two seasons, the first to consult actual teenagers and hire young writers. Skins was the first to attempt to accurately portray the lives of British teenagers, and tackle the harder issues they deal with while maintaining a whip-smart sense of humour. Most of the time characters were likeable and semi-believable. To that end, they also had no issue killing off said likeable characters, which is how April 7 turned out so differently to all those other Mondays curled up in front of the TV: it was the night that Chris, arguably the series’ most beloved character, was killed off. The episode begins with Chris recovering at home after suffering with a subarachnoid haemorrhage, the same thing that killed his brother. He’s smoking, laughing, and hanging out with Cassie; until around midway through the episode, when he forgets Jal’s name, and suddenly fits and dies in Cassie’s arms. Every second of his death was shown on screen: Chris sweats, then shakes, then blood pours from his nose and mouth. It was felt viscerally; I leant towards the TV and mouthed “no”, praying that it might not actually be a real death, as Cassie runs away to New York for the second half of the episode, without a single mention of it again. But it was real, and arguably on the O.C’s Marissa Cooper-tier of teen TV slayings. 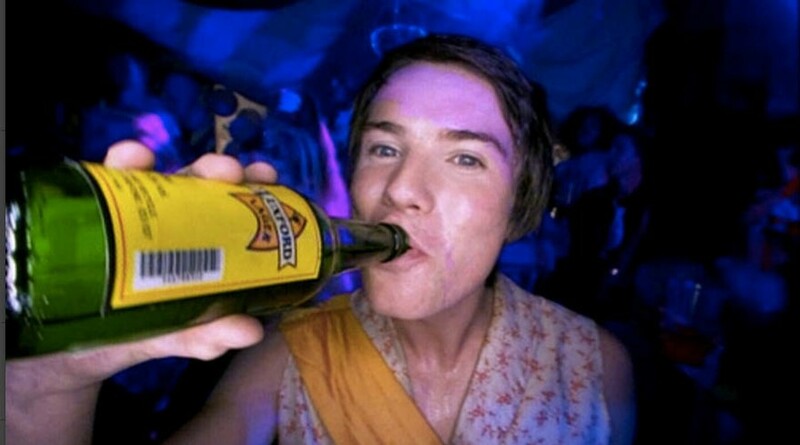 Goofy, sweet Chris Miles was a beloved character, and despite there only being one episode for that generation of cast after his death, the decision to kill him off was a bold one. Bryan Elsley, the co-creator of Skins and, along with Jamie Brittain, was one half of the team who wrote the episode, describes that decision for Dazed. Despite everyone on cast and crew being absolutely fine with the decision, the backlash from critics and audiences was major; Elsley believes that the criticism from young people was so passionate because “he was a character that they loved and identified with and he expressed ideas that they associated themselves with. He was kind of hopeless but brilliant all at the same time”. The “Cassie” episode was followed by “Final Goodbyes”, an episode which contained Chris’ funeral and saw the gang split up and go their separate ways. The episode was at once funny, devastating, and silly. When his family say they don’t want his friends at the funeral, they show up in a classic Mini car and steal the coffin behind his father’s back in a ludicrous, farcical scene that’s followed by a car chase. Elsley relates that in the hands of Jack Thorne, who wrote the final funeral episode, “it was transgressive and stupid and incredible all at the same time”; not unlike Chris himself. The episodes work together for the same reason audiences felt so affronted by Chris’s death; the character is ostensibly dumb, thoughtless, and ridiculous. He wears obnoxious clothes, treats his body with reckless abandon, has no regard for his future. But he is also funny, sweet, goofy, and his narrative is peppered with devastatingly bleak moments that juxtapose with his optimism. In the first episode that we meet Chris, his mother abandons him, and he drowns his pain by blowing the money she leaves on a party. We soon learn that his brother died when he was younger. He handles every setback with humour, which is precisely why audiences were so devastated. As a viewer, it was the last thing I wanted for Chris, but otherwise, it was the love the audience had for him that made the decision so brave. Despite the criticism, the episode inspired conversation about morality for young people, as well as death in their own lives. Skins was never without criticism, anyway, for its content, themes, actors, and dialogue; from everyone who thought it was too hard-hitting to viewers who felt it wasn’t enough. From then, there was at least a death every generation, from Freddie’s gruesome murder in generation two to Grace’s horrendous car crash in generation three, and Naomi in Skins Redux. The death throughout Skins, Elsley explains, was “born out of the fact that in drama, and in life, people die. There is quite a lot of death in the lives of young people. A surprising amount”. Elsley adds that this “explains why the audience always objects so thoroughly to the death of anyone, because nobody really wants to think about it and that’s totally understandable”. Of all these deaths, he says that the audience objected most of all to the death of Freddie at the hands of a rogue therapist in series four, and that while he doesn’t regret killing Chris, he does regret Freddie. “Partly because we didn’t do it quite as well, truth be known,” he admits. “It was a little bit over dramatic, it didn’t quite have the ring of truth about it. Nothing to do with Luke, I actually wrote that episode and I’ve kind of got regrets about that now”. Despite all of the deaths in Skins, Chris’ remains the one that cuts the deepest,because of the sweetness of the character, that he was the first to go, and because of the raw realism. He isn’t beaten to death by a villain, or in a freak accident on holiday, and he doesn’t deserve it; he’s a good man cut down cruelly by a horrific illness at random. That’s what was so great about Skins: in its best moments, it reflected the worst parts of our own lives.